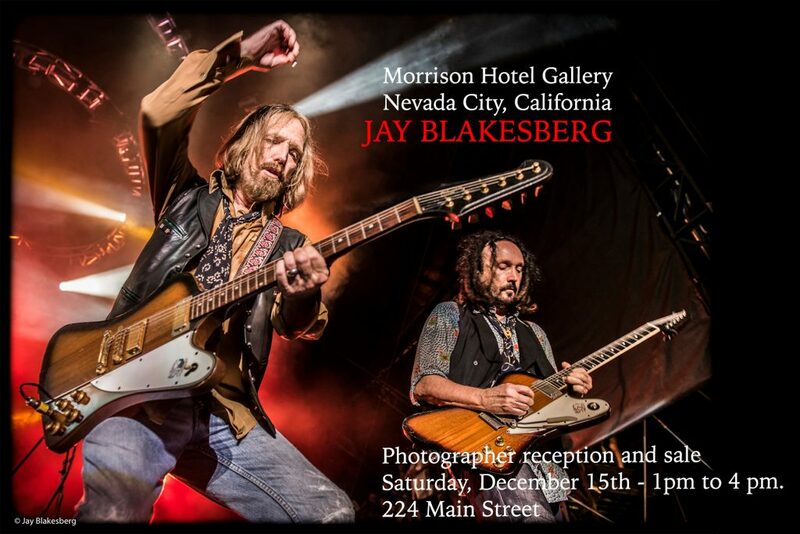 Morrison Hotel Gallery is having a open house and reception with Jay Blakesberg on December 15th from 1pm – 4pm. Jay will be giving a tour of his photographic history and will have books, cards and prints available for purchase. Morrison Hotel Gallery® is the world leader in fine art music photography representing over 125 of the most highly acclaimed music photographers — those who made, and continue to make, an indelible mark on music culture with photographic portrayals of the industry’s most influential artists. Morrison Hotel Gallery was founded by former record company marketing executive Peter Blachley; music retail industry professional Richard Horowitz; and legendary music photographer Henry Diltz. The concept of Morrison Hotel Gallery originated with the Diltz archive and the eponymous Morrison Hotel album cover taken by Diltz in 1969 for The Doors. With it’s flagship gallery in Soho, New York City, the gallery has always maintained a presence in Los Angeles, and is now suitably housed in the Sunset Marquis Hotel – Opened by newest partnert author, director and photographer Timothy White. In 2016, Morrison Hotel Gallery joined forces with Fleetwood Mac founder and rock icon Mick Fleetwood to open our newest gallery in Fleetwood’s General Store in Lahaina, Maui.